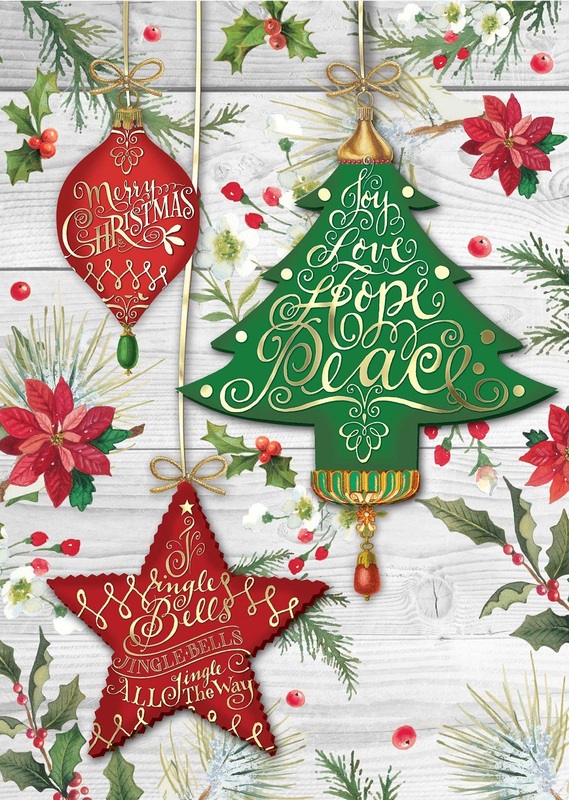 These cheerful cards feature a wonderful ornament design! One of the ornaments says "Merry Christmas", while another has the words Joy, Love, Hope, and Peace upon it. The third ornament has lyrics to the beloved song Jingle Bells. The decorations are surrounded by holly leaves and berries and poinsettia flowers, and gold foil provides a shining accent.